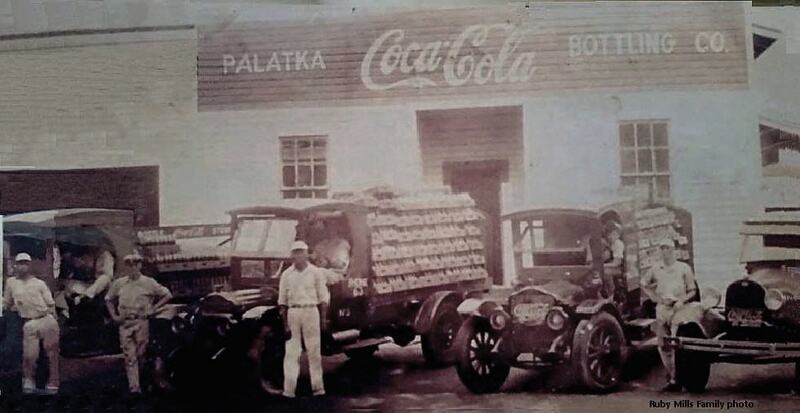 FloridaPast Coca-Cola Bottling Plants NOW & THEN \\\"FADES\\\"
One day, in the year of 1914, the loading door was open, to reveal the Coca-Cola Crew, hard at work, inside. W. R. Cheves produced ten tons of Block Ice Daily, and 500 cases of Fruit ­Flavored Soda Pop, in this very plant. Which was built next to the Jacksonville and Southern Railroad tracks. Our placement is just about right on. "Newberry developed as a mining town after phosphate was discovered in the western part of Alachua County in 1889; and, the town was located along the route of the Savannah, Florida, and Western Railway, that in 1893 was extended southward from High Springs. A post office established in March 1894 was named Newton, but changed to Newberry in August of that year. In 1896 there were fourteen mines operating nearby, and the town had hotels, boarding houses and saloons to accommodate the area's transient and sometimes unruly population. The demand for phosphate ended abruptly in 1914 when war was declared against Germany, the principal customer for Newberry's phosphate. The community turned to agriculture and was particularly successful at producing watermelons. The Watermelon Festival, first held in 1946, continues to be an annual event. 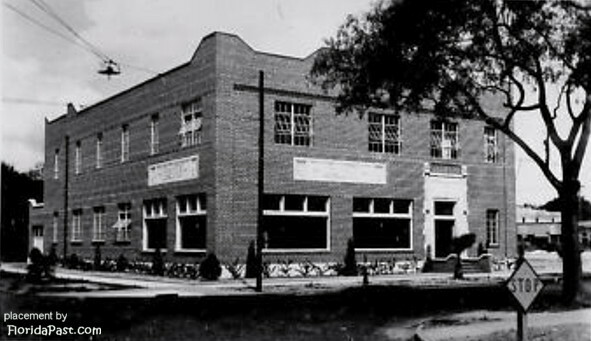 In 1987 Newberry's Historic District was officially listed on the National Register of Historic Places"
"On the western edge of Alachua County in North Central Florida, Newberry sits in the middle of one of the most picturesque, historical and fastest growing areas in the state. Founded in the early 1890′s, Newberry was officially put on the map when a post office was established in 1894, followed by incorporation in 1895. Before the 1890′s, families had moved to the area and farmed in the region and also made a living from timbering. However, it was the discovery of phosphate that brought the hidden Florida town to life as a booming mining town." Ruby tells us that "This is The Kummer Family, right past the horse and buggy days. Pop is the man on the far right." "I do know that the men in the pictures are All Kummer Men. The dad. And 3 sons. Dad was immigrant from Germany"
"My husband's mother is Hugo Kummer daughter Margaret Kummer Mills. She lives in Palatka still. Knows amazing history." - "She was pops secretary until they sold out I think in late 60's"